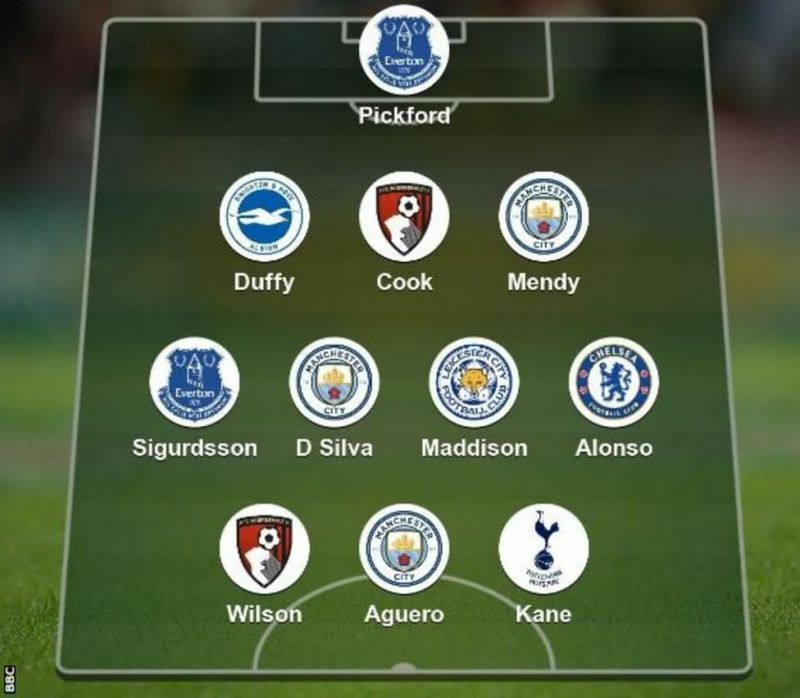 BBC Sport pundit Garth Crooks is back with his Premier League team of the week, and it has a strong Man City feel to it after their impressive win at the weekend. Pep Guardiola’s men put six past Huddersfield Town with Sergio Aguero helping himself to a hat-trick, and so there can be absolutely no doubts over the Argentine’s inclusion in the XI below. The 30-year-old has been in fine form to start the new season, scoring five goals in just three games in all competitions, and if he can keep this prolific rate up, he’s undoubtedly capable of firing City back towards further trophies. However, we’re not too sure on his new nickname given by Crooks, who names him as the ‘Buenos Aires assassin’ in his column. 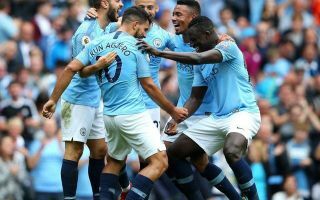 Meanwhile, teammates David Silva and Benjamin Mendy also feature after starring in the victory, with the former in particular pulling the strings and scoring a goal of his own. Elsewhere, Jordan Pickford gets the nod between the posts with Crooks seemingly awarding him a place based on one crucial save to deny Danny Ings in Everton’s win over Southampton. Mendy is joined by Shane Duffy and Steve Cook of Brighton and Bournemouth respectively, with Chris Hughton’s side producing a great performance to see off Man Utd in a 3-2 win. Gylfi Sigurdsson is included in a four-man midfield with the impressive James Maddison along him, Silva and Marcos Alonso. The 21-year-old continues to impress in his first season in the Premier League, and he certainly made his mark in Leicester’s win over Wolverhampton Wanderers after putting in a stand-out display against Man Utd prior to that. Meanwhile, Alonso’s game-winning goal for Chelsea against Arsenal appears to be the main reason from Crooks to include him, while it could be argued that it’s similar story for Callum Wilson and Harry Kane who were both on target in wins for Bournemouth and Tottenham. The BBC pundit does often seem to go for players who have found the back of the net for the most part, but that wasn’t even the biggest criticism he received this time round. As seen in the tweets below, some fans were scathing in their assessment due to the fact that Crooks has gone with his team of the week before Crystal Palace face Liverpool on Monday night. Image courtesy of BBC Sport. What…..there’s one game left. Pointless! Why would you pick a TOTW when not all teams have played yet? Just rename this the Weekend Goals XI. Crooks is such a fraud. Picking a TOTW before two teams have even played ? ?